Rotary table systems are usually situated at the beginning or end of a production line, the product is fed on by a conveyor, and the product is singulated or accumulated on the table, allowing the operators to pack the product or pick and place on to pallets or totes. Manufactured from Stainless Steel Grade 304, complete with an SEW Eurodrive motor and isolator as standard. We offer the service of cut-outs, product guides and infeed plates, if this is required please contact our team for prices. A cost-effective way to ensure operators have more time to pack product, and increase the efficiency of the whole production line. At Asmech, we have the experience and expertise needed to design and supply the ideal rotary table for your needs. Rotary tables are normally placed at the beginning or end of product lines, with products being moved onto them by conveyors. When the product is on the table, operators can pack it there or move it to pallets or totes. Our rotary tables are made from Stainless Steel Grade 304 and come complete with SEW Eurodrive motor and isolators. Cut-outs, infeed plates and product guides are available from Asmech if required. 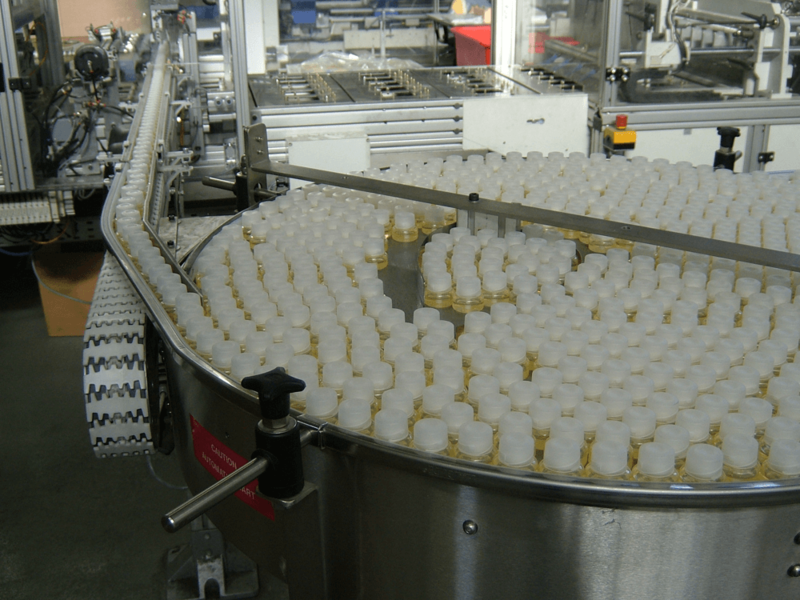 One of the main purposes of rotary tables in work environments is to give operators extra time to pack products whilst the efficiency of the entire production line is enhanced. Rotary tables used in a conveyor context are sometimes called “accumulation stations” or even “food production tables”. These solutions are renowned for the way they deliver additional packing time. We make some of the most efficient and reliable rotary table systems in the UK, manufactured from tough materials which ensure your systems stand the test of time. We can offer different heights to meet your specific requirements and provide you with in-depth advice about keeping your rotary table or accumulation station in working order. These solutions are often used in pack houses as well as food-orientated environments and are as aesthetically pleasing as they are efficient. What’s more is that our rotary tables require only the smallest level of maintenance, with the dismantling process taking just moments. We can provide rotary tables that are completely safe for food and can create bespoke solutions tailored towards your specific needs. We are able to produce rotary table systems in all sorts of sizes and heights, with all kinds of customisation options available. Different rotational speeds are also available. We have been designing, manufacturing and supplying rotary table handling systems for our clients since we were first founded well over two decades ago. We design, engineer, manufacture and install our complete product range unlike many of our competitors and can cater for all your automation and materials handling requirements. We are confident that we can provide the solution that you are looking for to enhance the reliability and efficiency of your processes. Asmech provides solutions for some of the world’s most prominent corporations, creating tailored products that ensure all needs are met. We offer everything from rotary tables and gapper units to pick & place machines, conveyor systems and much more. You can contact us at any point if you do have any questions about the services that we offer or the products that we provide. We always aim to surpass all expectations and look for new ways to innovate. To find out more about our rotary tables, accumulation stations or other products, simply take a look around our site, call 01623 424 442 or send an e-mail to sales@asmechsystems.co.uk. Alternatively, use the contact form on our website. You can also find Asmech on YouTube and LinkedIn.